In stock and ready to ship or download now! Train your athletes to play with great energy at all times with these challenging drills! in each of his six seasons as head coach at VCU, Coach Smart led VCU to over 25 wins, including four straight 27-win seasons (2009-2013). If you're looking to build your players' individual skills in a team setting, then this on-court video by Shaka Smart will provide you with some great ideas. You will get drills and great insights from one of the college game's best young coaches. Coach Smart always brings tremendous energy and enthusiasm to all of his sessions, but more importantly, he teaches everyone how to pass on that enthusiasm to the players on the court. Complete commitment is required for all participating when Smart is in charge! Smart starts off with a few drills that focus on post players. Each drill addresses fundamental skills necessary to have success in the post, but also force the bigs to get after it with more energy than is usually required in post development workouts. Coach Smart also teaches the importance of not giving players too many moves. He would rather have them get great at a few than be acceptable at many. Rodman Taps - Works the weak hand around the rim and is a great drill to focus on getting back up quickly. Form Hooks - A simple skill drill with great instruction on footwork. Shaq Series - A great series of post moves are included in this drill along with some strength and aggression added. The drill teaches the mentality of Shaq in the post! Multiple Effort Drill - The highlight drill of this section. Great to get your posts playing at full effort. Pinball Screening - A high-energy drill that covers both offense and defense. This drill teaches players how to use screens to get open and also helps defenders learn to defend through screens. LeBron Combos - This drill, used by LeBron James early in his career, features a series of moves with the ball followed by shots; Smart creates the moves and the player must execute them. This then becomes a competition between two players. 3 Minute Shooting - A fantastic, fatigue shooting drill with three minutes of constant shooting with a specific goal. Players will learn to knock down shots even when they are tired! 2 on 1 Drill - Teaches players how to battle difficult situations and stay engaged. This is a total effort drill! Another highlighted drill is the 'Ironman Drill.' This is another of Coach Smart's foundational drills. In the drill, the defender must take a charge, hustle to dive on the floor to get a loose ball and then scramble to save a ball going out of bounds. The individual performing the drill must be engaged and fully commit to the drill, however, the other players on the court are also expected to bring great energy to support the player working hard in the drill. 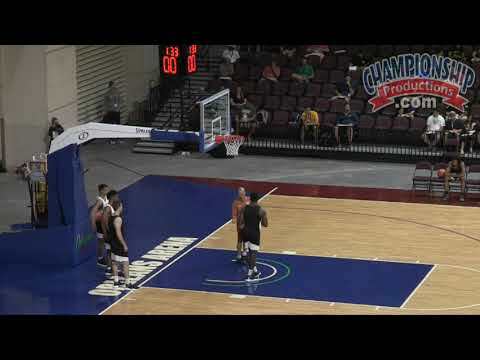 This drill epitomizes the Shaka Smart coaching philosophy! Coach Smart always brings incredible teaching points to each instructional session, but more importantly, he shows you how he is always able to get his guys to work harder and play with great effort every time out. Get your athletes to push themselves and watch your team take an immediate step forward in their performance!